Deep purple color. 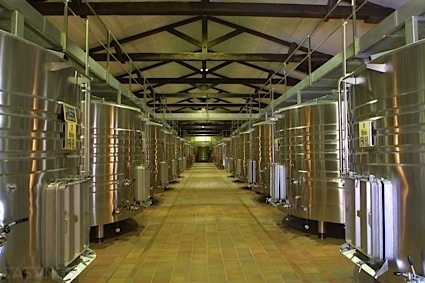 Earthy aromas and flavors of berry yogurt, herb and spice blend, melted chocolate, and pressed flowers with a silky, bright, dry-yet-fruity medium body and a smooth, relaxed finish with notes of craisin and tangerine, marinated beets, and pecans with earthy, dusty tannins and light oak flavor. A nice crunchy, lightly floral malbec that will works well with spicy meats. Bottom Line: A nice crunchy, lightly floral malbec that will works well with spicy meats. 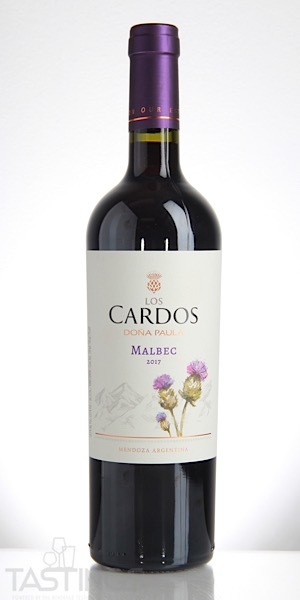 Doña Paula 2017 Los Cardos, Malbec, Mendoza rating was calculated by tastings.com to be 85 points out of 100 on 9/26/2018. Please note that MSRP may have changed since the date of our review.